You are here: Home / News & features / International Geneva / Is Lausanne beating Geneva? 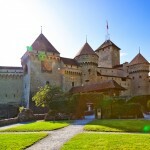 “Lausanne is the capital of Suisse Romande and Geneva is Geneva,” a canny observer recently remarked. The distinction is important. 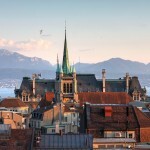 Geneva may be wealthier and have a greater international reputation, but Lausanne, Switzerland’s fourth largest city population-wise, often seems more dynamic. The two cities have chosen very different strategies. Geneva favours discreet exclusivity, fuelled largely by banking, commodity trading and international diplomacy. Lausanne is gambling on a broader, somewhat funkier approach. It may not be as rich as Geneva, but it definitely seems more vibrant and youthful. Neither is a slouch. Geneva hosts more international organizations than any other city in the world. It is the location of choice for most critically important international mediations, such as the upcoming Syrian peace talks and those on Iran’s nuclear ambitions. The European Organization for Nuclear Research, or CERN, is by far the world’s largest and most sophisticated laboratory for particle physics. It made headlines when the Nobel Prize was awarded for the discovery of the Higgs boson, alternatively known as the “God particle”. Geneva often garners more news coverage than the rest of Switzerland put together. It was the birthplace of the League of Nations and the Red Cross. Today it hosts the largest concentration of UN agencies, surpassed only by New York. The World Economic Forum, which runs the famous annual Davos gathering and is currently mapping the agenda for the shifting global economy, is located at Cologny just a few minutes up the lake. Yet while Geneva’s reputation is based largely on past achievements, Lausanne is betting on the future. It is investing heavily in both international education and high-tech research. 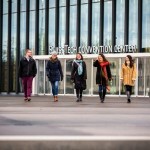 EPFL, the Swiss Federal Institute of Technology in Lausanne, is rated on a par with Boston’s MIT. 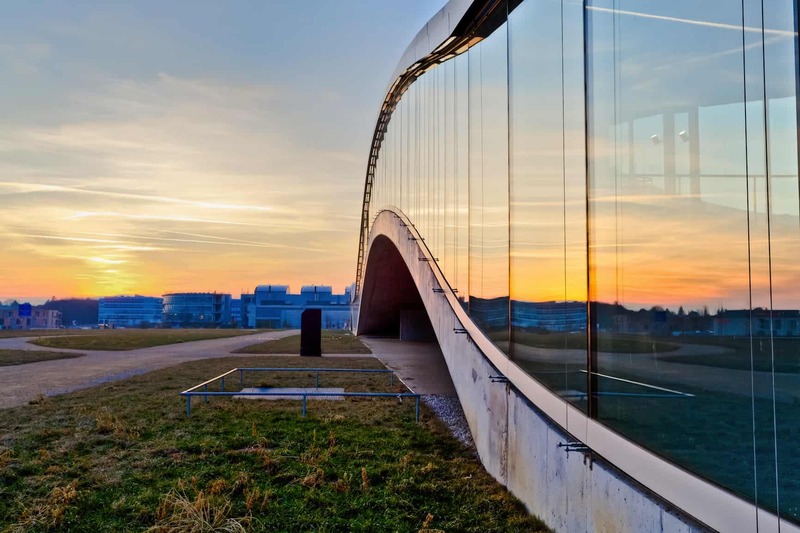 The main campus building, the Rolex Learning Centre designed by Japanese architects Kazuyo Sejima and Ryue Nishizawa, is considered a world-class architectural marvel. Well over a third of EPFL’s student body is international. While the majority of undergraduate classes are in French, most graduate ones are taught in English. Regardless of the student’s origin, tuition is set at a mere CHF 1,266 a year. Fees are considerably higher at IMD business school, located on Lausanne’s waterfront. IMD is ranked among the world’s top two or three business schools, and easily on a par with Harvard Business School. 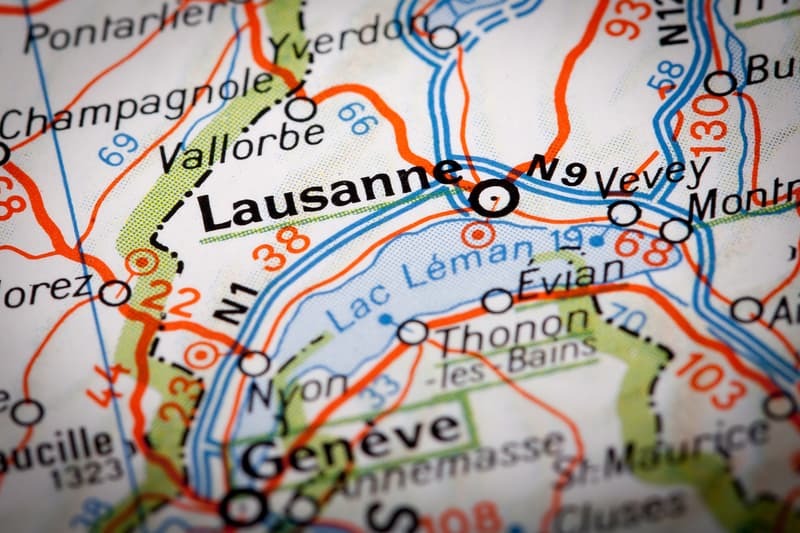 With so much going for them, both Lausanne and Geneva would seem to be on top of the world, and that may be part of their problem. The uncertain future of the euro and the US dollar has made the Swiss franc look like the most stable currency – one of last resort. As a result, Switzerland risks being priced out of the global marketplace. Mercer, a major consulting firm on relocations, ranks Geneva, Zurich and Vienna as having the world’s highest standards of living for expatriates. But Geneva also rates as among the four or five most expensive cities, more costly than New York or Hong Kong. In a period of global financial slowdown, that does not augur well for the future. The US Internet giant, Yahoo, recently moved its headquarters to Ireland, presumably to cash in on cheaper rents and lower salaries. Other major multinationals are deciding whether to follow suit. Earlier, the World Health Organization moved its accounting department to Kuala Lumpur, albeit with disastrous results. The International Committee of the Red Cross has also been thinking about moving some of its operations to a cheaper location. The mood in Geneva often seems pessimistic about the future. The real problem, and possibly Lausanne’s gain, is that the world’s new global economy and the institutions that serve it are in transition. The multilateral international institutions whose patronage made Geneva important are no longer as unique or powerful as they once were. In many ways, too, Geneva seems resistant to change. The city seems determined to stay small, but is not succeeding. Most of the city’s expansion, including many of more than 20,000 international civil servants who work in Geneva, has been across the border into France. While Geneva’s registered population is just under 200,000, the greater Geneva area is closer to 900,000, many of them frontaliers, who cross back to the French side every night – there were 71,400 frontaliers working in Geneva at the end of 2014. Some Swiss nationalists would like to ban frontaliers altogether, but given the extreme housing shortage, there is nowhere to house the very people needed to make the city work. 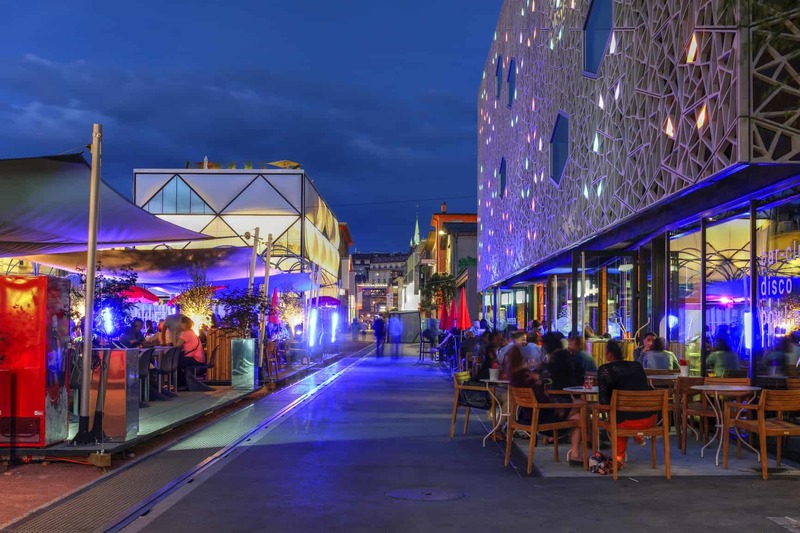 While Geneva’s burghers have generally ignored their area’s rapid expansion, especially when it comes to traffic, Lausanne has shown greater readiness to engage in intelligent city planning. Today, it is the smallest city in the world to have invested in its own metro subway system, with some 28 stations. Possibly the people most frustrated with Geneva’s stagnation are the youth who find that there is not much to do. “Most of the people I know drive up to Lausanne at night,” a young artist in her 20s told me recently. “There is nothing to do here, and it’s too expensive. 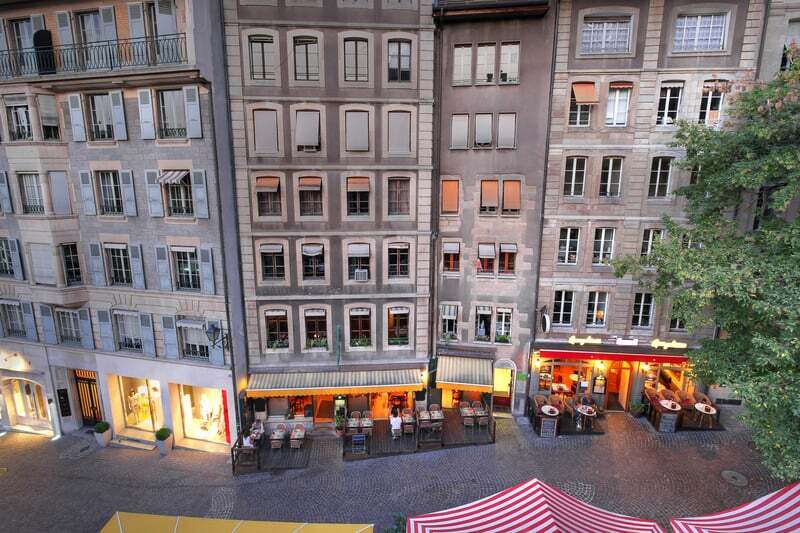 Lausanne is full of exciting little places that are affordable. The problem is that there’s a lot of drinking, and then there are accidents on the road back.” For much of the youth, however, the risk seems worth it to find a bit of life.